Education is the only possession that cannot be stolen, destroyed, neither borrowed. With this, it can be said that indeed, education is the most practical thing to have in life. It is only through having good education that we are able to get good employment. High paying jobs are usually the ones that require high educational attainment. Having a degree could suffice, but pursuing post-graduate studies would always be a better option. In the recent years, however, when the world faced one of the greatest economic disturbances in history, education and schooling has suffered a lot. Most families, who were victims of incessant layoffs, had no choice but to force their children out from school. Consequently, many schools had to close down because of low enrollment turnout. This was a very sad scenario. And this has prompted some organizations to devise ways in which they could help students return back to school as their families cope up with their financial stumbles. For example, students are now given the very fruitful choice to rent out their textbooks rather than to buy them brand new. Online book rental shops such as www.campusbookrentals.com provide a wide array of books for students to rent out for a very minimal fee. Diverse subjects of study, such as, to name a few, philosophy, microbiology, mass communication, political science, are also covered to guarantee customers a great variety of choices. In renting out books, students can cut back their spending for 40% to 90% from buying brand new books in bookstores. They are also saved from the hassle of going from store to store just to look for the exact book they need, sometimes even to no avail. 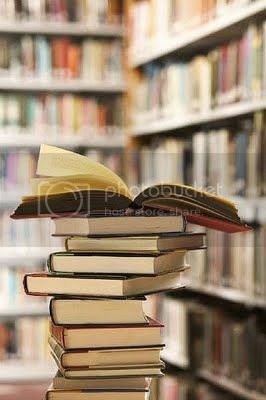 Now, with the service of online book rental shops, what students’ only need to do is to visit their websites, search for their desired textbook, and then place their order. A few days later, their orders will be delivered for them for free! The best thing about subscribing to online book rental shops is that you do not only cut back on your spending, but you also help these shops in their charity deeds! In campusbookrentals.com for example, they donate to Operation Smile for every textbook rented out. What better way to get inspired in one’s studying than being able to help pain smiles on children’s faces? That's true, education is something no one can take from you. It's a lot cheaper and way more convenient to just rent book since you usually use it only for a certain period. "Education is the only possession that cannot be stolen, destroyed, neither borrowed. With this, it can be said that indeed, education is the most practical thing to have in life" - luv this line, and its true!